We offer Bubble Wrap to our clients for various Packaging & Cushioning items. With the endorsement of some professionals of the market, we are occupied in offering Air Bubble Film Roll. We are leading supplier of Bubble Wraps in Mumbai. We produce Air bubble sheet Roll of width 1 mtr and length 25 mtr, made of high quality granules.Robust suitable for glass, furniture and Electronic industry. We are manufacture of Bubble wrap of all sizes and lengths are provided at AVM. 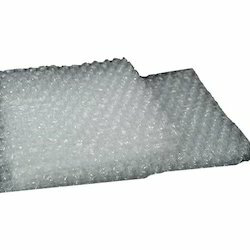 Bubble wrap sheets provide very high compression strength and cushioning for logistics. It is highly recommended to ship fragile items. 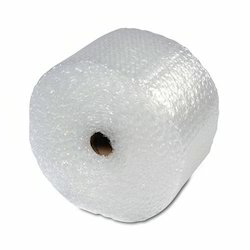 We stock bubble wrap sheets of all sizes in the form of rolls and sheets. Custom requirements are most welcome. We are Leading Manufacturer and Supplier of All type of Air Bubble Film Wrap, Bubble Wrap and Air Bubble Bags.